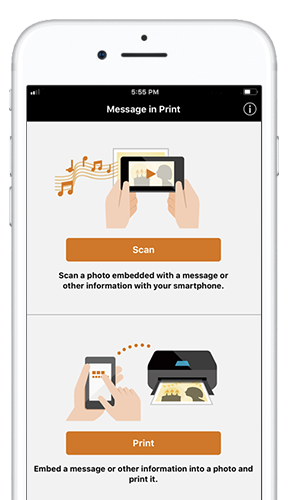 Enhance your printed images with the Message in Print App*. 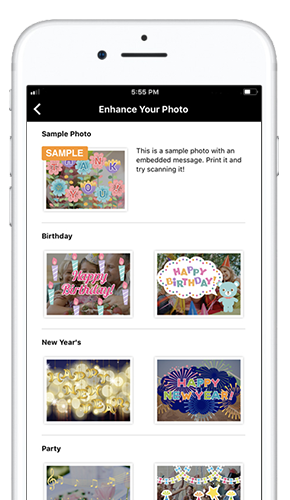 This app allows you to transform your favorite photos into digital greeting cards by embedding text, animations, music, video links and other creative enhancements directly within the image. Simply hold your smartphone device over the photo to display your special, personalized message. Open the Message in Print* App. 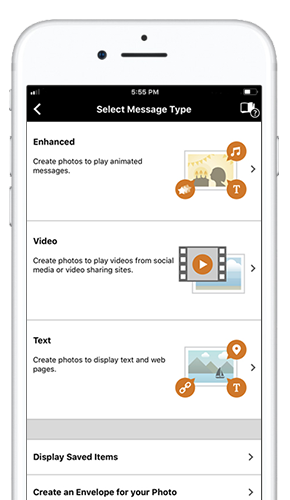 Select the type of message to embed within the image. Choose from a variety of enhancements. Share your digital card with the lucky recipient. Download the Message in Print App and get started. * Requires an Internet connection and the Message In Print app, available for free on the App Store. Compatible with iPad, iPhone 6 or later devices running iOS 9.0 or later. Your device must be connected to a working network with wireless 802.11 b/g/n/ac/ad capability. 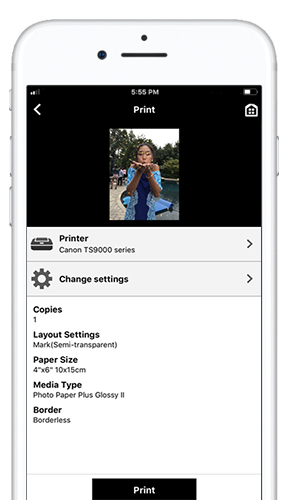 Requires original content to be created using the Message In Print app/service, then printed on a compatible Canon Printer released between August 2009 or later and delivered to recipient who views image and content through the compatible Message In Print app on their compatible device. Compatible paper sizes include 4” x 6” and Square 5” x 5” only, and compatible media types include Genuine Canon Photo Paper Glossy, Photo Paper Semi-Gloss, Photo Paper Luster and Photo Paper Matte only. Certain exceptions may apply.